Apple is investigating ways to charge iPhones and iPads wirelessly and without contact, using the signal emitted by radio frequencies such as wi-fi, a patent filing has revealed. The indication that the company is working on the system will raise hopes that the end of having to plug a cable into a mobile device to charge it could be round the corner. 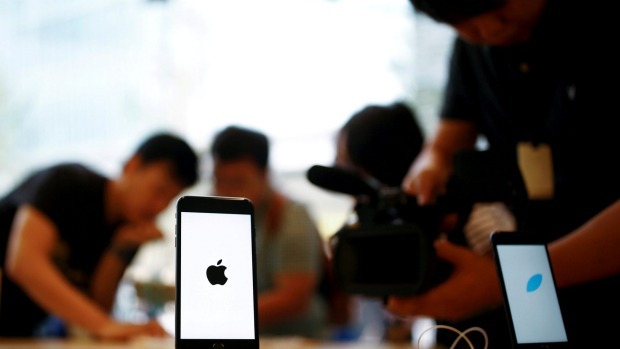 The filing reveals Apple is looking at ways to re-power its devices using mobile, wi-fi and millimetre wave signals. It proposes directing the electromagnetic frequencies normally used for data transmission towards the device as a “beam” of energy. Long-range wireless charging isn’t a new concept – Apple has been working on different ways to achieve it for several years. It first filed a patent for a way to wirelessly recharge an iMac at a distance of one metre back in 2010. * What’s your old iPhone worth? Last year, Bloomberg reported that the company was working with partners to develop the system for mobile devices. It said it could be introduced to the iPhone as early as 2017. While the patent filing is the biggest hint yet Apple is working on the technology, it only covers the theory behind the method, not how it can be done in practice. Rumours suggest Apple is planning to introduce wireless charging to the iPhone this year in time for its 10th anniversary. Adding weight to reports, the company joined an industry group called the Wireless Power Consortium in February. However, the method of wireless charging Apple could use is still unclear. It had been claimed the iPhone would not feature the short-range “inductive” wireless charging used on the Watch and rival phones such as the Samsung Galaxy S8. Instead, Apple was said to be waiting to introduce wireless charging on the handsets only when it had developed a long-range system. But the recent patent appears to be too early-stage. Apple patented a separate “inductive charging station” concept for the iPhone last autumn, paving the way for short-range wireless charging on the iPhone 8. The upcoming handset is rumoured to come with a glass case that could support the feature.